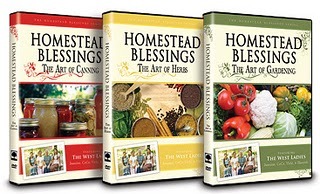 Busy Hands, Busy Minds is giving away 3 of the Homestead Blessings DVD's. I have wanted to get some of these for such a long time! Maybe you or I will win!